As a parent, it is incredibly important that we understand the difference between the goals we set with our children, and the expectations we place upon them. The difference is subtle but very important, for both are crucial tools when it comes to raising high performers. We should place expectations upon our children and set goals for them, but we need to make sure that each tool is used properly. When it is not, many children grow up feeling guilty and unworthy for never meeting their parents’ expectations. 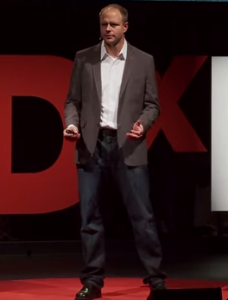 According to Dr. Jim Taylor, psychologist and author of Positive Pushing: How to Raise a Successful and Happy Child , goals are possible accomplishments that may or may not be achieved, yet can provide satisfaction to children just by going through the process of setting them and trying to attain them. Expectations, on the other hand, are all or nothing; they are assumptions of achievement. We should place certain expectations upon our children, but these must be things within their control. We can expect them to be courteous, committed, honest, caring, responsible, hard working, and a host of other things we would agree are important. These are expectations based upon effort and values. They must be clearly communicated, and the consequences for failing to meet them should be equivalent with each expectation and consistently applied. Your child has the ability to be all of these things, and if he is not then he should expect that there will be consequences. It is okay for us to be disappointed in him for not meeting our clear expectations, and we should hold our children to high standards that reflect our values and beliefs. All too often, though, parental expectations become ability (you will win because you are the best) and outcome (I know you will win) oriented, and become confused with our goals for our children. When we expect them to win a game, we are expecting them to accomplish something that is not completely within their control. They may give their best effort and still lose. 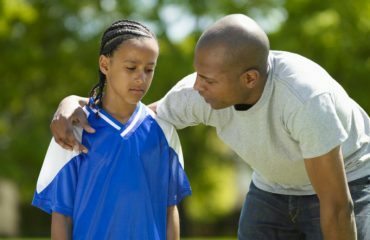 If a child believes that a parent’s love is tied to the expectation of winning, and he does not win, he may believe that he is less loved or valued. This creates anxiety and inhibits performance. High performers have expectations placed upon them, but only upon things that are fully within their control. Goals, on the other hand, are possible outcomes, but process oriented. One of the most powerful things you can do is to recognize your child’s goals and reasons for playing a sport. Bad things happen when a child’s goals and his parents’ goals are incompatible. While parents can help their child see the big picture and develop proper goals, we must accept that our child may not have the same purpose for playing that we ascribe to him. If we try to force our goals upon him, he will never take ownership of the experience. To combat this, we should help our children to recognize and set two types of goals: process goals and forward-moving goals. Process goals are related to things within our control, and forward-moving goals are related to our dreams. Both are important. Process goals are doing all the things that get you to a destination. “I am going to practice on my own for thirty minutes a day.” “I am going to attend one extra practice a week with another team.” “I am going to quit eating sweets and lose two pounds a week for the next three months.” These goals are SMART (specific, measurable, attainable, realistic, and timely), and your child can see and measure progress week to week, month to month. Process goals are also great because they are entirely within a child’s control. An outcome goal such as “win state” may sound great, but think of all the things outside of her control that can affect the outcome. Her opponents, her teammates, her coach, the officials, the weather, injuries, acts of God—all these things can play a role in inhibiting the fulfillment of that goal. She can do everything in her power to win state, but numerous factors outside her control can derail that dream. Instead, by focusing on process goals, she is fully in control of the results and often will achieve outcome goals as a byproduct of her effort. Forward-moving goals are the far-reaching dreams that I believe all children should have. They are hard to measure, at times not very specific, and rarely timely, but they are crucial to energize children and let their imagination soar. Kids should strive to win state or play in the NBA, and we should encourage these larger, energizing goals. That said, we should also help our children focus on the process, for without accomplishing those goals our forward-moving goals rarely come to fruition. 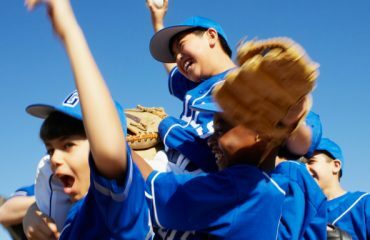 Next time you are discussing your child’s athletic goals with him or her, make sure that everyone involved understands the difference between expectations and goals. Once you unburden your child from the expectation of success, you will see your child play with more confidence, freedom and energy. You will also find more enjoyment in the experience yourself. 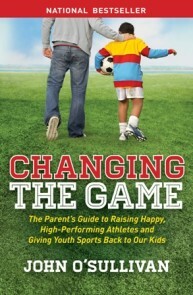 This is the path to raising happy, high-performing athletes. Click here to grab a copy of Dr. Jim Taylor’s Positive Pushing: How to Raise a Successful and Happy Child , you will be glad you did!